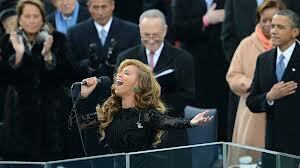 Since La Beyonce has not yet responded to reports that she lip-synced at Obama's second inauguration on Monday, I thought this very interesting analysis, by a fellow singer Mike Doughty, was fascinating. It will be interesting to see what the real story is. But either way, his observations were so cogent. I read today that Aretha Franklin laughed when she heard Beyonce lip-synced. Whether she lip-synced or not it's irrelevant as the song we heard performed WAS sung by Beyonce and no one else. The only question I have is if she lip-synced, why did she have the beautiful, dramatic moment when she tore out the earpiece? 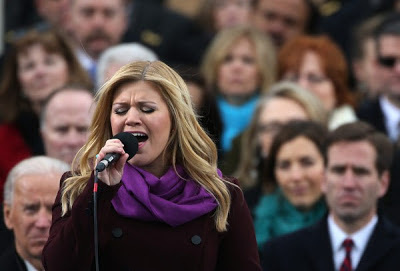 Kudos also to Kelly Clarkson who gave a magnificent performance at the inauguration. Did she or did she lip-sync?